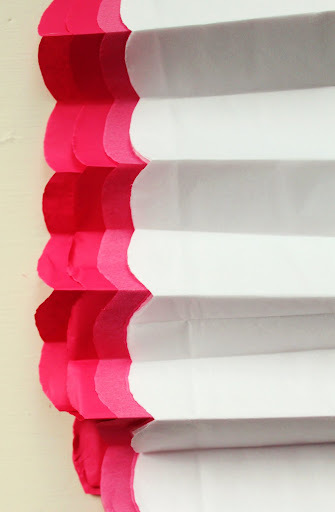 Ombre has become such a popular trend in color use! It is a beautiful way to add interest to anything from dresses to cakes! We have to admit, we love it...just look at our new logo! 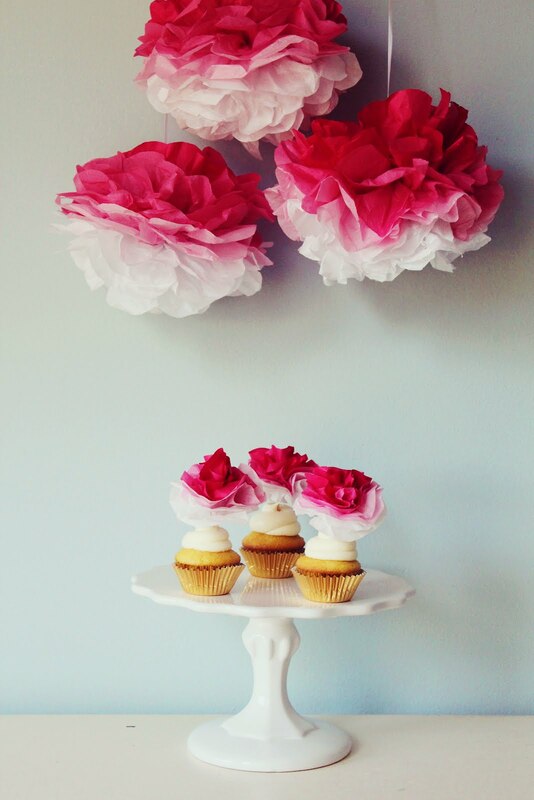 Although, paper poms have been being used over sweet tables for a long time, we love them and don't think they will ever go out of style! We thought why not combine the two! So today we would love to share how to create your own diy ombre paper tissue poms! 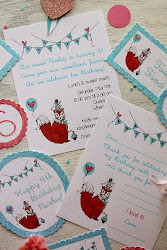 The steps are super easy! 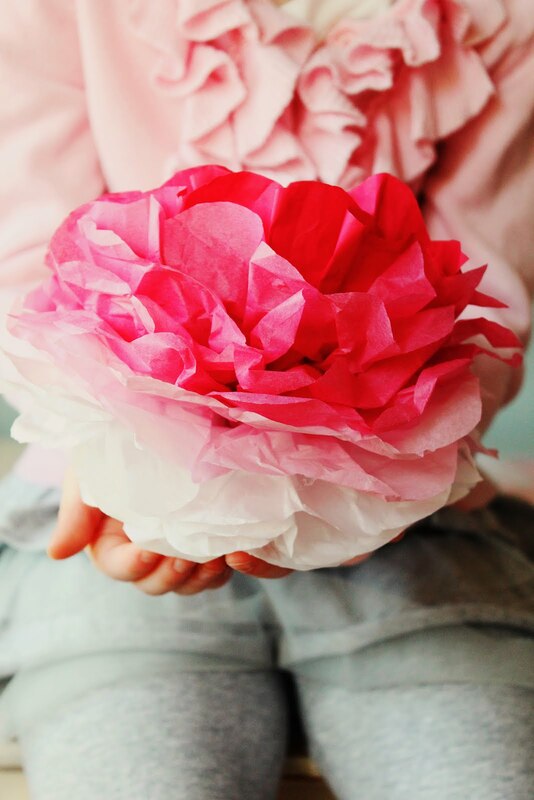 We used 4 shades of tissue paper from hot pink to white. Just take 2 sheets of each color and layer them from dark to light. 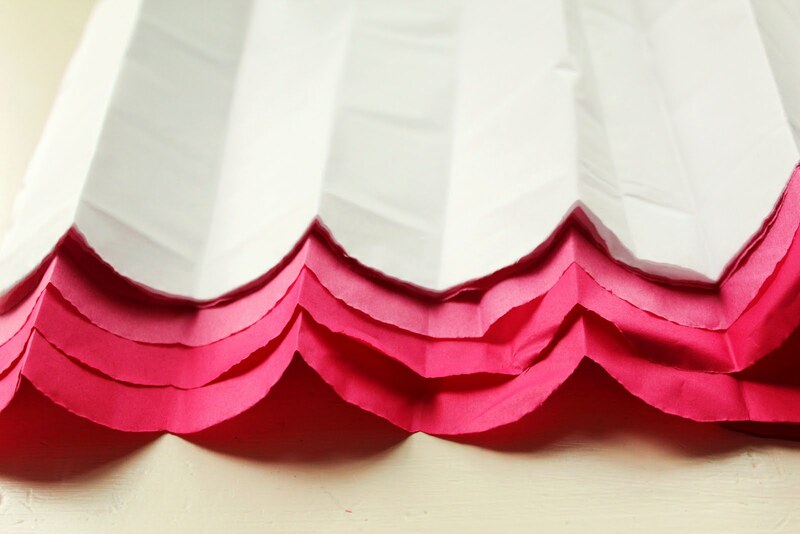 Make sure the tissue paper is perfectly laid on top of each other and accordion fold the sheets. 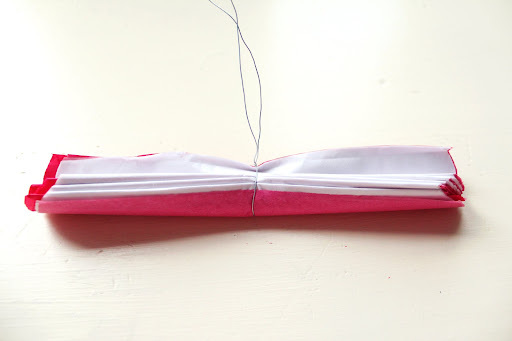 Next just be find the center of the tissue and tie a wire around the center. This will secure your pom and give you a spot to hang them from. 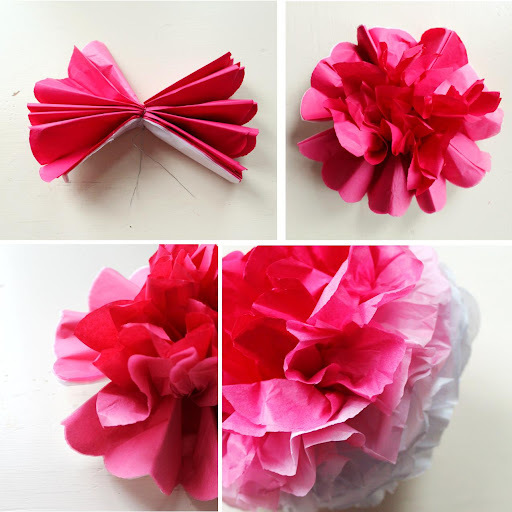 Finally, just fan your paper out of each side and begin to fluff your poms! It is easiest to fluff your poms from the top to the center and then the bottom the center, that way you will get a really full pom! It's that easy! 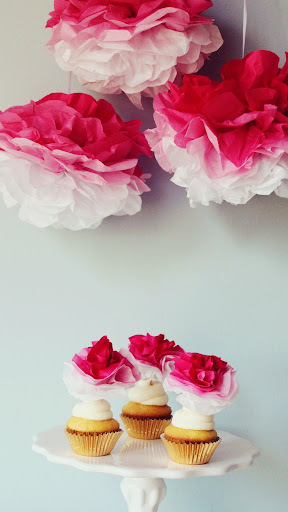 We will be back tomorrow to show you how to make the ombre paper flowers! 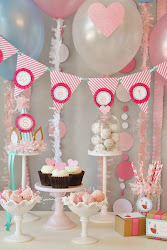 Really really nice! Thank you!